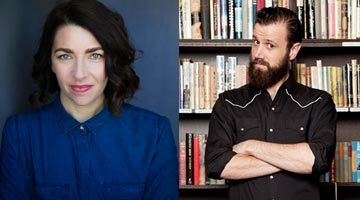 We are proud to announce that 2017 TV Pilot screenplay contest winners, Ella Roby & Lachlan Marks, have received development funding from a local funding body associated with the Australian Writers’ Guild, founded by Shane Brennan (EP, show runner and writer on shows like NCIS LA, CSI), for their pilot Small Town. They have also signed a shopping agreement with JP International Productions. Jonny Paterson is the principal and founder of JP International Productions and is the producer of 2017 award-winning independent feature film Halfway starring Quinton Aaron and Jeffrey DeMunn. Jonny is a recipient of the BAFTA Los Angeles Newcomer Award, was an invited participant at the 2017 Berlinale Talents Campus and has sat on the Paley Center’s Media Council since January 2018. Logline: A suspected murder, a series of unexplained disappearances and a strange new drug bring a journalist, a cop and an addict together on a surreal and dangerous investigation into a sinister subterranean cult run by children. Synopsis: When true crime reporter Tran Vinh Anh first arrives in the quiet mountain community of Blackwood, his intention is to profit from a series of long-unsolved child disappearances. To this end, he forms a wary alliance with local cop Jake Anders – a man increasingly fixated on a cold case of his own. As they’re confronted with evidence of a chilling new threat hiding on the fringes of town, their motivations begin to align. They soon cross paths with Jake’s estranged school friend Alice Hall, an ex-addict with a unique insight into the strange undercurrents of Blackwood. Alice reveals that her eight year-old son is missing and she, Jake and Anh are pulled into a treacherous and fast-moving investigation that will unravel multiple tightly woven mysteries and lead them to a bizarre, underground world inhabited by a cult of dangerous children. The complex story of Small Town unfolds over eight one-hour episodes, offering a chilling and emotional experience that explores ideas of control, obligation and escape, questions the nature of family and examines our relationship with both the past and the future through the unconventional lens of a devastating and alluring new drug culture.